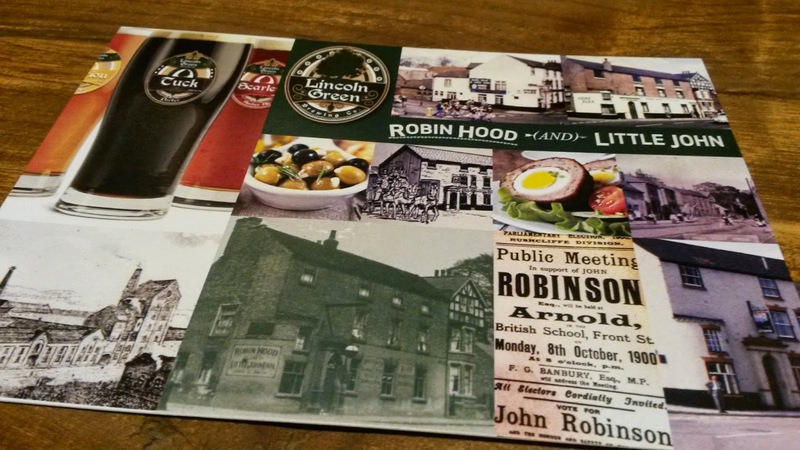 Thursday 21st August 2014 Saw the Reopening of The Robin Hood and Little John Public House in Arnold by the Lincoln Green Pub Co.
Arnold has felt in a bit of a time warp for a long time as the recession kicked in and we have been treated to more and more charity shop, whilst less new ventures have hit the area so the arrival of a new pub was always going to be a welcome addition to the town centre. 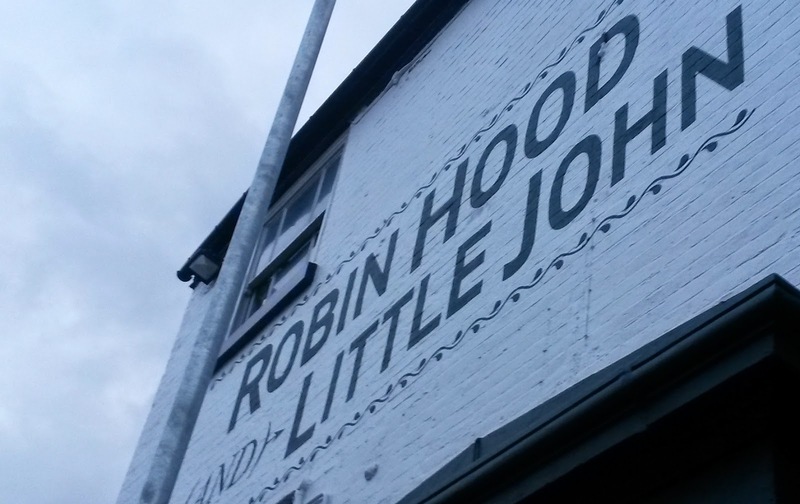 The Robin Hood and Little John Pub dates all the way back to 1765 which makes it one of Nottingham's oldest pubs. 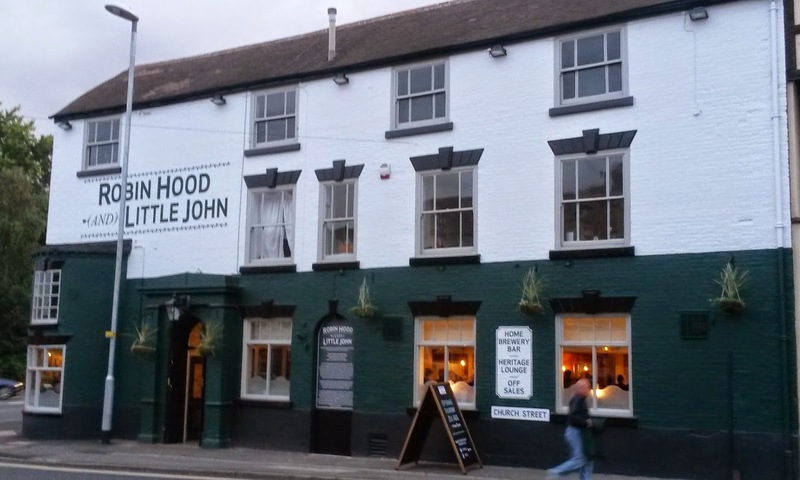 Having been taken over and tastefully renovated by Lincoln Green of Hucknall it looks to have great long term potential for lovers of good ales and ciders. 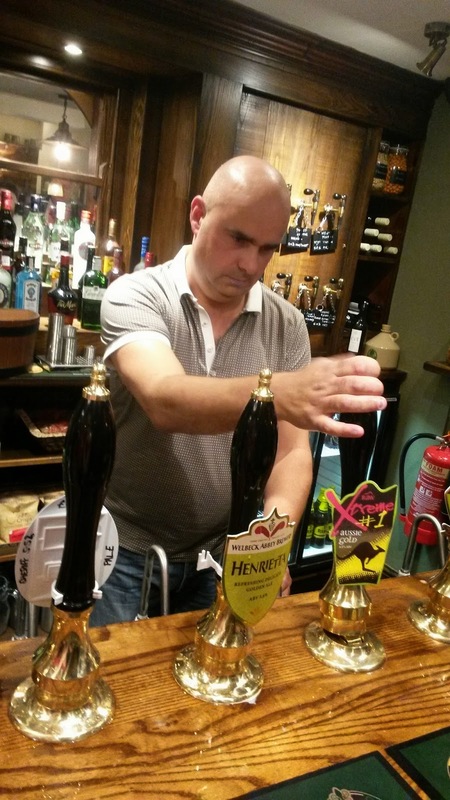 We got into the pub around 20:00 hrs and already there were beers that were having the pumps turned to indicate that stock had run out. By the time we were being served the available pumps were down to 6 of 10 and the majority were pale and golden ales with the majority of the local Lincoln Green ales running out. Fortunately though there was still some of the Hood Best Bitter still to sample. 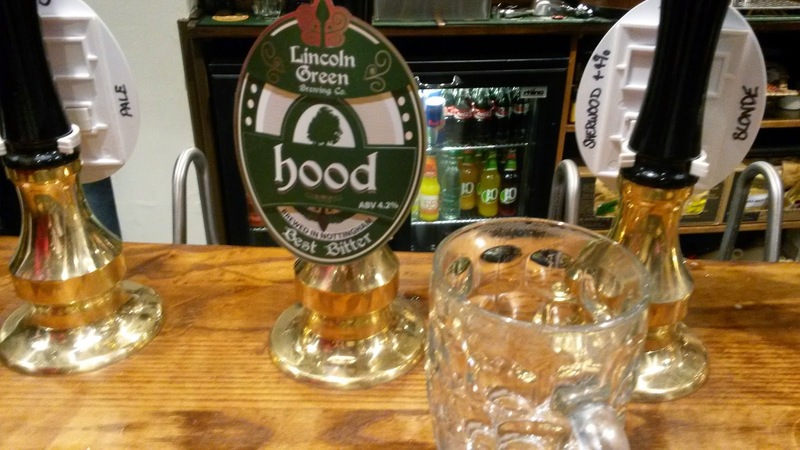 I'd hoped for a pint of Tuck but the Hood upon tasting was a more than able replacement with a rich, creamy texture. It was a bitter I'd happily drink all day if I could. At £2.90 a pint it was pretty reasonably priced too. The OH went for a pint of Titantic Cherry Dark, A lovely rich, dark ale with a fruity berry infusion within it's taste. She was definitely a happy bunny with that choice and I'm sure she would happily drink another pint of it. 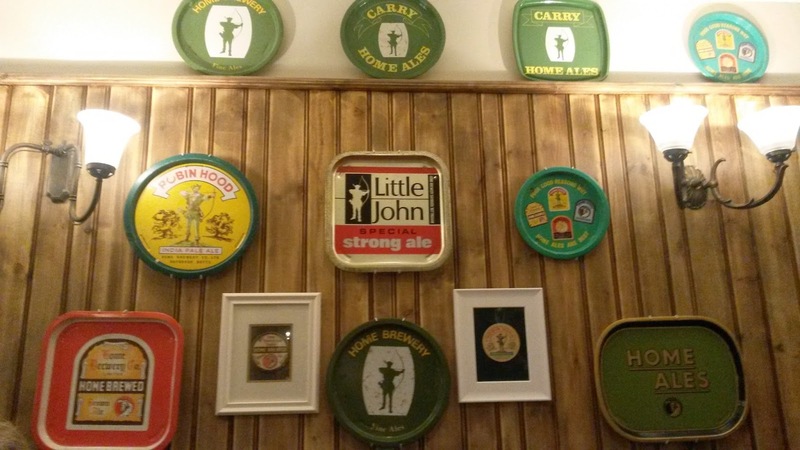 If you're on the lookout for what has potential to be a great local pub, the Robin Hood and Little John has real potential to become a fantastic place to visit. Whilst they don't have any parking on site there's always plenty available if you continue along Church Street and turn left up Redhill Road. 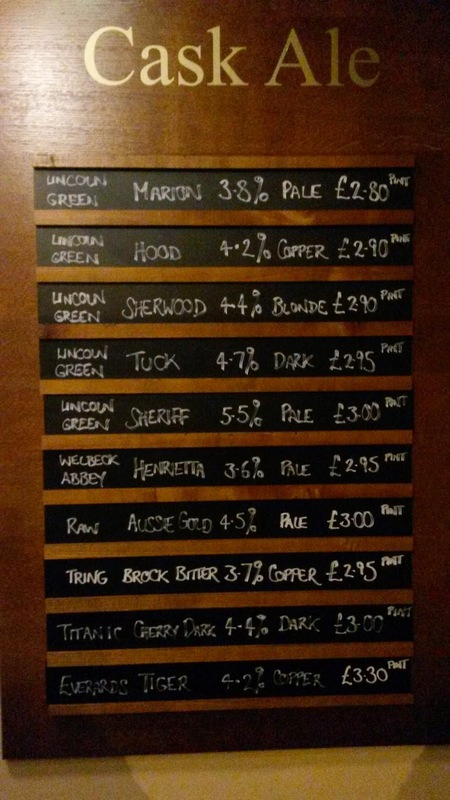 The Robin Hood and Little John seems warm and welcoming with a great relaxed vibe and a fantastic selection of ales. They also have some ciders on tap too which could make for another great tasting session. 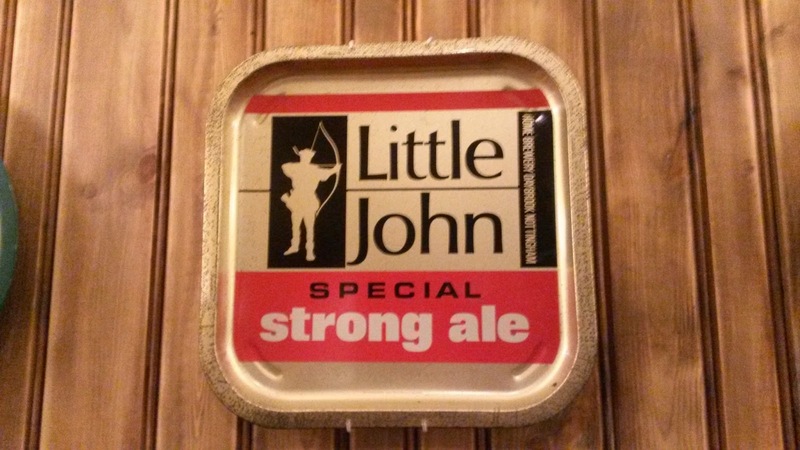 Fancy a pint of Little John Special Strong Ale? Bill's Nottingham Review- Worth a Visit?